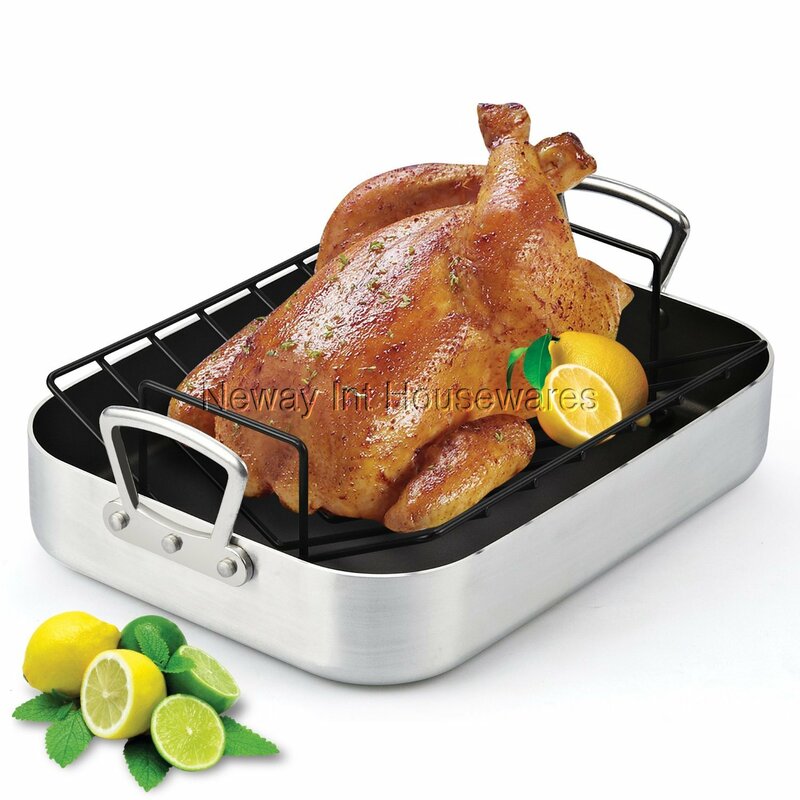 The Cook N Home 16 by 12-Inch Nonstick Roaster with Rack is made of heavy gauge aluminum that is conductive for even heat distribution and prevents hot spots. Nonstick coating makes food release and cleaning easy. Can hold up to 25 lbs of meat, vegetables, and other foods. V-shaped rack allows for even browning and collecting liquid while roasting. Solid cast handles are riveted for a secure grip. Not Induction compatible. Works on: gas, electric, glass, halogen, ceramic, etc. Oven safe to 450F and dishwasher safe.